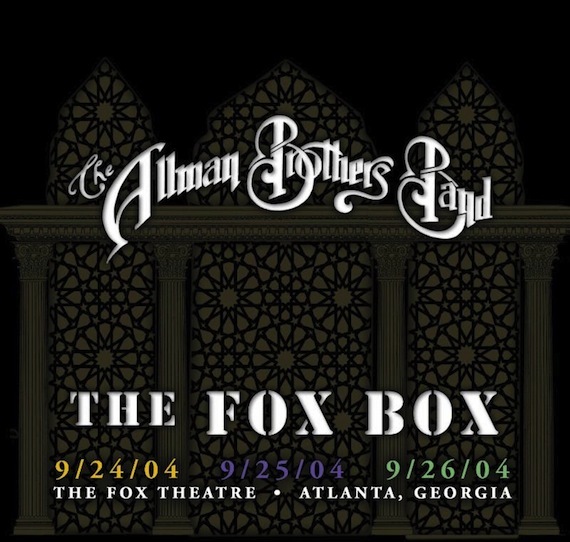 The Allman Brothers Band is releasing recordings from a set of shows from a sold-out, three-night run they played at Atlanta’s Fox Theater in 2004. The Fox Box will be released digitally March 24 and in stores on April 28 via RED Distribution as an eight-CD set. The collection features a remastered audio mix and tightening up of the song spacing along with a very unique element: in the 53 songs performed, there is only one repeat, “Dreams,” which is played three times, each with different vocals by the guitar soloists: Derek Trucks, Warren Haynes and Jack Pearson. The Allman Brothers Band in 2004 featured founding members Gregg Allman (keyboards, vocals), drummers Butch Trucks and Jaimoe and percussionist Marc Quinones, guitarists Warren Haynes and Derek Trucks, and bassist Oteil Burbridge. Guitarist Jack Pearson, who was in the band from 1997-99, was a special guest, and other guests include Derek’s bandmate/wife Susan Tedeschi, guitarist Vaylor Trucks (Butch’s son who was captured on the rear cover of Brothers & Sisters as a child) and keyboardist Rob Baracco.